A federal judge said Vaun Mayes will be released within the next 24 hours, TODAY'S TMJ4 has learned after he was accused of plotting to burn down a police station two years ago. 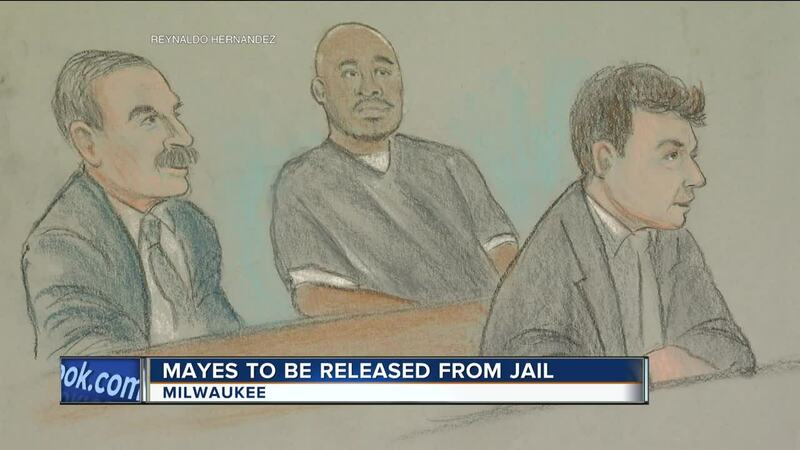 Mayes will be released while he awaits trial. He's accused of plotting an arson attempt of a Milwaukee Police station during the violence in Sherman Park two years ago. Federal prosecutors say Mayes plotted to make homemade firebombs, or Molotov Cocktails, to burn down a police district near there. He was arrested Monday. According to a criminal complaint, Mayes was seen wearing gloves and filling the bottles with gasoline, dipping ripped shirts into a bowl of gasoline, and placing the soaked fabric into the tops of the bottles," two days after the shooting of Sylville Smith by police, that sparked the violence in Sherman Park.